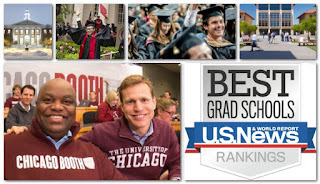 For the second time in three years, the University of Pennsylvania’s Wharton School captured top honors in U.S. News' new ranking of the best full-time MBA programs in the U.S.
Wharton knocked out both Harvard and Chicago Booth which shared first place last year. Stanford’s Graduate School of Business gained two places to rank right behind Wharton in second place. Michigan’s Ross School of Business, dropped three spots, to rank tenth. 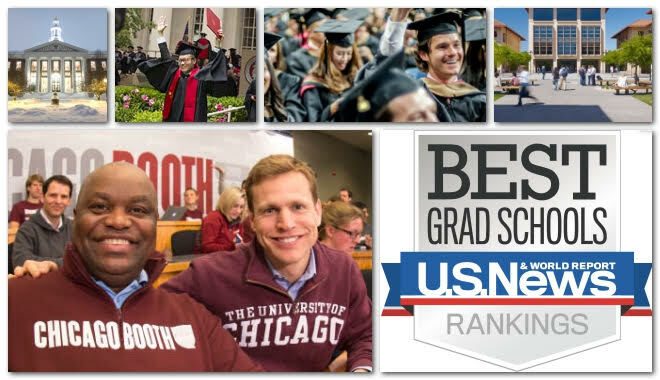 This year is only the third time in 30 years of U.S. News rankings that Wharton is at the top. Wharton boasting the highest average GMAT score for the latest entering class, a 732 average, also matched by Stanford and Northwestern Kellogg. Wharton also reported, according to U.S. News‘ calculations at least, the highest average starting salary and bonus for the Class of 2018: $165,528, slightly more than $2,800 more than the MBAs from Stanford.